WASHINGTON - Turkey hopes the United States will agree to sell gunships and armed drones that the military would use to fight the outlawed Kurdistan Workers’ Party, or PKK. The two systems are the AH-1W Super Cobra attack helicopters and the sophisticated Reaper drones. Turkey hopes to receive a green light from the United States at the end of the year to buy two critical weapons systems that would be used against the Kurdistan Workers' Party's, or PKK, officials have said. The two systems are the AH-1W Super Cobra attack helicopters and the sophisticated Reaper drones. The Turkish Army presently operates a limited number of Super Cobras in operations against the PKK, and military officials say that several more gunships are needed. The AH-1W gunships, made by Bell Helicopter Textron, are not currently being produced, and the U.S. Marine command has some 170 of them. Turkey wants to buy a small number of these choppers presently in the U.S. Marines' inventory, and officials from both countries said they were looking for a solution. During a visit to Washington early this month, Chief of the Turkish General Staff Gen. İlker Başbuğ said the acquisition of these helicopters was a high priority for the Turkish Army, and that he was keeping his hopes high. U.S. Ambassador to Ankara James Jeffrey said that if the United States found a way to transfer some of the Super Cobras to the Turkish military without hurting the front-line firepower capabilities of the Marines, it would. A senior Turkish procurement official said there was presently a window of opportunity for the transfer and that he expected Washington to agree to the sale before the end of this year. The United States has alternatively offered the sale of some AH-64 Apache attack helicopters, used by the U.S. Army, but Ankara has rejected the proposal, saying that it had no infrastructure support for these gunships. The other systems Turkey wants to acquire are the MQ-9 Reapers, an armed drone manufactured by General Atomics. Turkish officials are impressed by the performance of these unmanned aerial vehicles, which the United States military has used in Afghanistan, Pakistan and Iraq. Turkey in February formally asked for the sale of these systems. 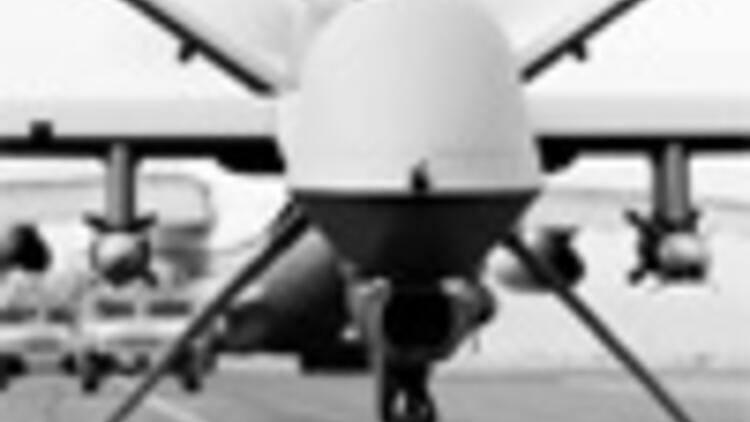 The United States has so far sold the Reaper to Britain and agreed to the drones' export to Germany and Italy. The senior procurement official said he also expected U.S. permission for the systems' sale before the end of the year. One U.S. official said that President Barack Obama's administration in principle was looking favorably to the drones' transfer. But in addition to a green light by the U.S. administration, both sales require the U.S. Senate's approval. It is not clear at this point if such transfers would prompt congressional opposition.